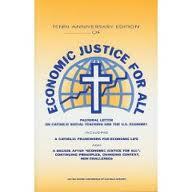 The study of social and economic justice reveals a variety of approaches, including conservative, liberal and radical. Theoretically, all hope to achieve similar goals, but via differing paths. Determining the best achievable “social good” is not easy, regardless of the method. In his book, “A Theory of Justice,” John Rawls proposes justice as a unifying theme in the social contract between individuals, society and their government. Considering the wide spectrum of individual differences, it should not be surprising that there are many approaches to a common goal. Social and economic justice is a concept that affects everyone, but it not something with which a majority of people are intimately familiar. Academicians and politicians have devoted much time to the study of justice. Perhaps the achievement of social and economic justice requires more active participation of citizens. Yet even citizenship, by definition, is a political concept, which concerns the integration of individuals into the political framework and their participation in the institutions of law. By nature, it involves citizens in the management of public affairs. In order to stimulate citizens to action, it is important to understand the past evolution of our society. Conservatives maintain the strictest moral and ethical codes in their search for justice, banking heavily on our country’s foundation of religious freedom. However, it is that same freedom that has given rise to more liberal religious and political organizations. Liberality is not new, however. The political economy of Scottish economists was based on a liberal vision of society, as were others. Private property and autonomy from the state is not foreign, either. In a just society, that autonomy is critical. Paper Masters writes custom research papers on Social and Economic Justice and examine a variety of approaches to social and economic justice, including conservative, liberal and radical.